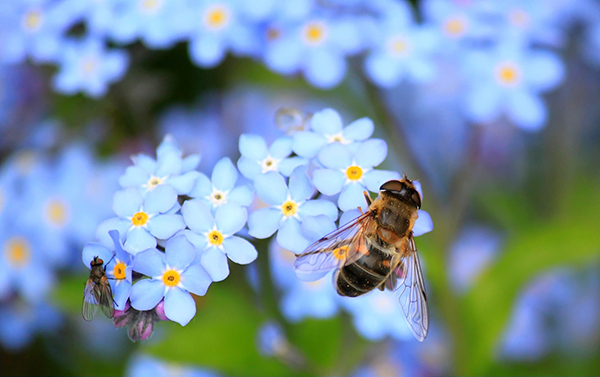 When it comes to our food and flora, bees are essential! If you would like your garden to bloom with all its might, and have honey to drizzle on your yogurt or tea in the morning, then beekeeping is a great hobby to pursue. Bees are essential to the human race; without them, our food supply could decrease rapidly. They play such a big role in our planet and the survival of much of the vegetation. Unfortunately many factors like environmental changes and pesticides have knocked the bee populations to a dangerous low. Beekeeping provides you a deep connection to Mother Earth and the health of our planet. Beekeeping can be a low cost, low effort way of helping to keep your local bee population healthy, and there is much that you and your garden can benefit from. 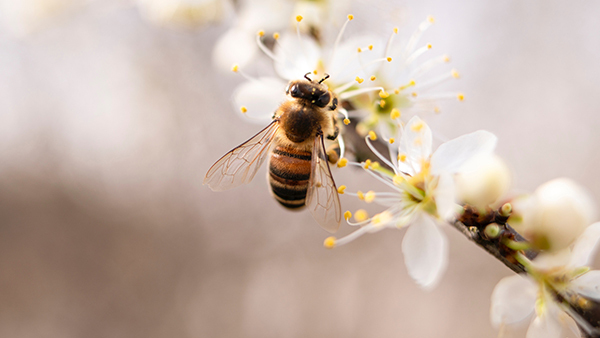 Since bees collect pollen from your local flowering plants, consuming local honey has been noted to help avoid suffering from seasonal allergies. Not to mention, harvesting your own honey and wax always makes a great gift for family and friends. The first step when pursuing beekeeping should be to educate yourself. This will allow you to enjoy the hobby to its fullest. The Cheshire Horse offers plenty of material for you to study before diving into your bee colony. Our selection of books about beekeeping such as Beekeeping For Dummies and The Backyard Beekeeper outline all of the necessities, tips, and tricks needed for your new adventure. Often times, you will need to get approval through your town official or department of agriculture for your beekeeping. You will likely need to register or apply to have your beekeeping approved. Take note of the local blooms in your region from spring through autumn. The more information you have about your local plants, the better understanding you will have of your bees’ behavior and flight patterns, which will influence the type of honey you will eventually yield from them. Follow a season through to see what blooms in your local region. Bee clubs are a great way to get to know your community with similar interests. They can help mentor you through their findings and trials. Local beekeeping classes can be an excellent resource when starting your own colony. Once you feel you have enough resources to start your hive, you’ll want to find a spot that allows plenty of sunshine. Your apiary should allow good drainage and air circulation, and it should be somewhat secluded. You won’t want your bees bothering any unsuspecting neighbors. Since bees are very busy, you don’t want them zooming out of their hive only to be met with a curious child or housepet. Honey bees do also use a large amount of water. Setting up their home near a water source will avoid them using your bird baths or hose spigots. They need water to help maintain moisture levels and to regulate their temperature. Dappled sunlight and some wind protection help keep the bees happy. Putting your hive colony near a tree line can help with these requirements. Fulfilling all the requirements a bee needs is almost impossible, but you can keep your bees comfortable by following a few simple rules. Have your hive face southeast, so your bees have an early morning wake up call from the sunrise. Place your hive in an accessible area for you to harvest honey. Provide a windbreak and dappled sunlight. 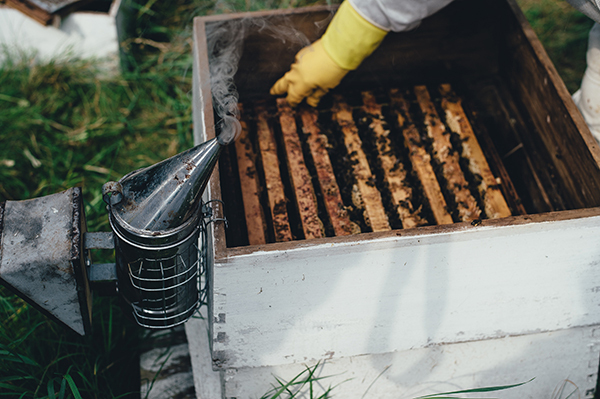 In order to allow good ventilation, avoid placing your hive in a gully where air is damp and still. Cedar is a great option for hives. It is a beautiful wood, and it smells divine. Natural oils make it less prone to warping, less susceptible to bug infiltration, and less likely to rot than other woods. Since there are so many different types of bees, it is suggested to start with a mellow variety, such as Carniolan. Some beekeepers disagree with buying bees and suggest using wild bees found locally because they are better fitted for the environment you will be raising them in. However, you can always contact a local beekeeper to order a package of bees. Typically, a package contains a queen, a couple worker bees, and a feeder filled with syrup. The direct method is to introduce the queen directly to the workers, but it is more likely she will be attacked this way. The indirect method allows the worker bees to slowly become acquainted with her through eating their way through the syrup towards her. There is also the option of ordering a nucleus hive. This is an already established bee colony. The disadvantage to this is that the queen may be weathered and weary, which results in weak bees. 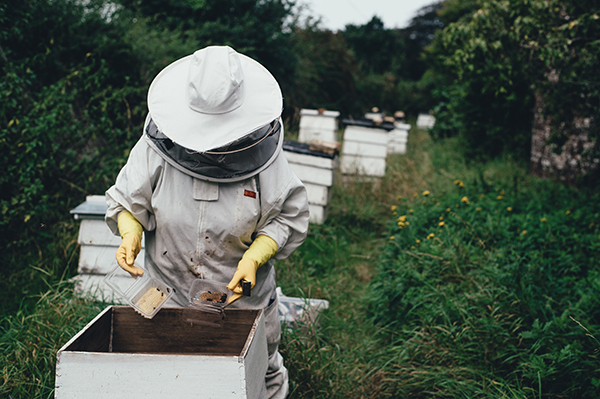 You should start with one hive, not only to see if it is the hobby for you, but also because recognizing and correcting any abnormal behaviors will be easier with smaller numbers. 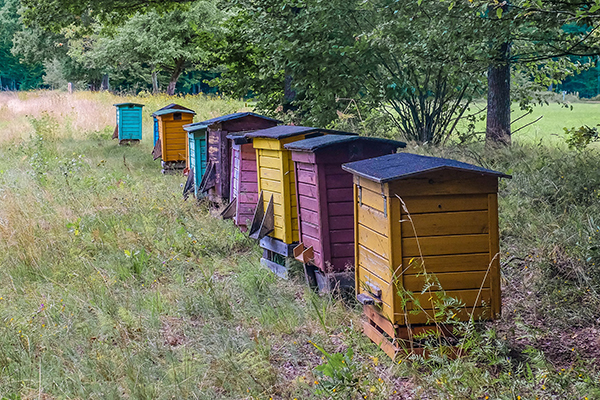 Hives can be inexpensive, and some beekeepers even design and build their own hives to maximize production. But for beginners, complete bee hives are also available. There are even low maintenance bee hives available. Honey frames are what goes within your hive. These honey holders are pulled out of the hive for ease of honey extraction. For an aromatic smoker experience, you can fill your smoker with leftover items like dried herbs and citrus peels. You can add these sweet-smelling items to your typical fuel source or as a replacement fuel. Hive Tool: Bees hold their hive together with a tough, glue-like substance called propolis. Your hive tool allows you to pry open your hive, pry frames, and scrape propolis. Smoker: Smokers and smoker fuel allows your bees to become docile while you are working in their space. Smoke tricks bees into thinking there is potential threat of a fire nearby, leading them to overeat their honey in preparation of leaving the hive. With a full belly, they become less inclined to sting since it becomes difficult to tilt the stinger up. Jacket and a Veil: Your smoker only goes so far with bees. You will need additional protection such as a coverall and a veiled hat from those lively bees trying to ward off any predator. A bee can sense fear behavior. Increased heart rate and breathing will put bees on edge. Taking deep breaths and making sure you are calm can be very beneficial to avoiding any unwanted stings. After you have complete confidence handling bees, you may only need to use headgear. If you opt for building a bee sting tolerance, a bee suit is not necessary. It’s suggested to use at least headgear however, since swelling in the face can lead to trouble breathing and loss of sight. Gloves: You will be handling everything with your hands. You will need gloves that offer protection as well as maneuverability. Gloves made with leather and high quality zippers will be great protection against painful stings. To avoid bees sneaking into your gloves, find a pair that have long, canvas sleeves. Bee Brush: For honey harvesting, a bee brush will help roll sleepy bees off the honey frame. It helps come in handy for hive repair as well. Log Book: Keeping a log book is a smart move. It helps you to determine why there are issues arising, and how to correct them. Collecting as much data as possible will only help you in your future seasons with the bees. The honey frame is the removable structure within the hive that holds the honeycomb. Beekeeping chores change throughout the year, and your to-do list will vary depending upon where you live. The busiest times of the year are typically at the beginning and end of the season (spring and autumn). As a beekeeper, you’ll be inspecting your colony for health and productivity. 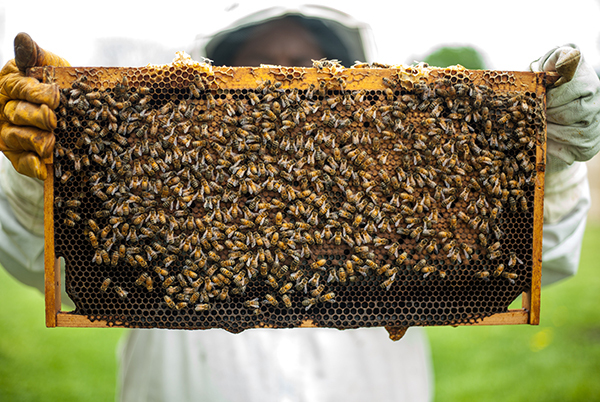 As you safely inspect your hive, you’ll want to make sure the queen is alive and laying eggs. She will need to be capped brood in a compact pattern, and the eggs will appear as tiny white eggs at the bottom of the cells. Additional food sources may be needed towards the end of the season. This can be helped by allowing more storage for honey, more ventilation, medication, or even a new queen. Protection from diseases and toxins is something your colony also needs. Parasites, pesticides, and predators are a big threat to an established colony, and especially a new one. Medicating your colony with miticides and antibiotics in the fall and spring can increase their health against such outside problems. If you have big predators who love honey (such as black bears), running an electric fence around your colony will help keep the big guys out. You can harvest your bee nectar in several ways. After the first season, a healthy hive has potential to produce anywhere from 45 to 100 pounds (or more!) of honey each year. Keep in mind that this is dependent on weather, climate, and many other factors. An uncapping knife is used to cut open the wax combs, and an extractor spins the honey out. A strainer is then used to sift out debris and leftover wax. Extractors are an investment purchase. If you are just starting out and need a more economic approach, a new beekeeper can always look into renting or borrowing from your local beekeeping club. One of the most interesting and exciting parts of beekeeping is the unique taste of your local honey. What you have for plant growth up to three miles around your colony will determine what the honey will taste like. Consider planting lavender, lilacs, or any type of blooming flower to enhance the flavor of your honey. When there is a vast variety of floral options for your bees, it creates what local beekeepers call a wildflower honey. Wax is also a sustainable production of bees. A lot of beekeepers take advantage of the wax yield for soaps, candles, and even ointments. 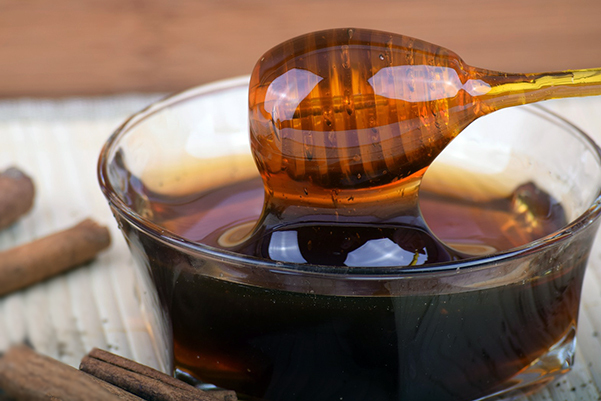 Honey Fact: Honey never spoils! Bees are amazing, hard-working creatures, and beekeeping is wonderful for our environment. Helping sustain our bee population will surely be a very rewarding hobby. You will see your own garden flourish nicely, and you will reap the benefits of their hard work with delicious honey and usable wax. Owning your own bee colony provides a great opportunity for greater education on local ecosystems for children and adults alike. Bees work hard to keep us at our healthiest, we can thank them by returning the favor!